They invade our space, and we fall back. They assimilate entire worlds and we fall back. Not again. The line must be drawn here! Posted on April 27, 2008, in Uncategorized. Bookmark the permalink. 3 Comments. 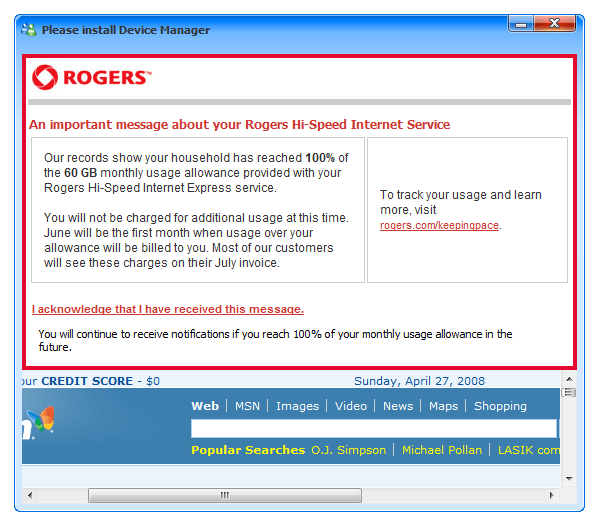 What\’s the point of "Hi-Speed" internet if you\’re limited to how much you can download? Is Rogers the Borg or a phone company???! "you broke your little ship Jean Luc…"